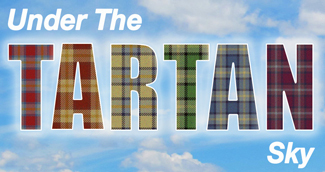 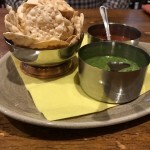 The authentic taste of Northern India is spicing up Glasgow’s Merchant City. 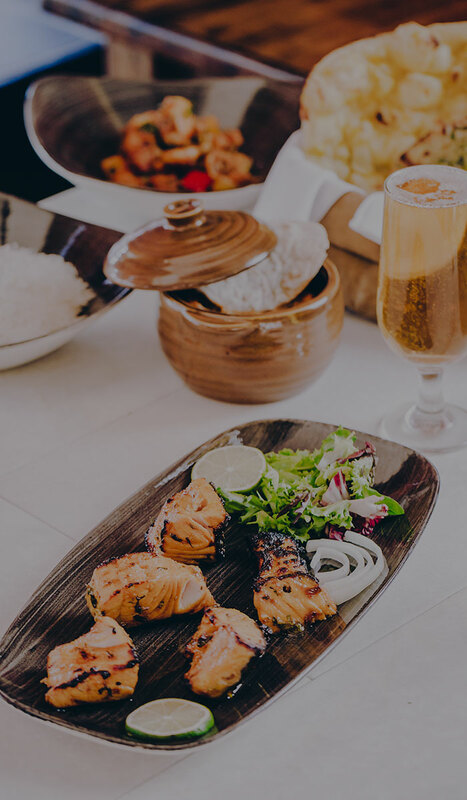 Proudly presenting bona fide Indian cuisine, The Dhabba is far removed from the stereotypical south asian restaurants, we have been accustomed to and, indeed, inherits its name from historical Dhabbas, with origins in Northern India. 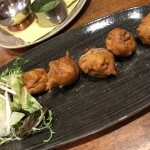 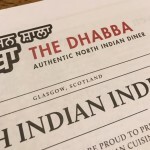 Originally, roadside diners, run by families with a plethora of inherited and very secret recipes, hungry travellers in India were very fortunate to stumble upon a Dhabba, where they could experience exquisite Indian cuisine at its best. 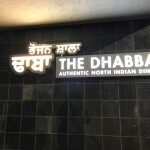 As their reputation and popularity spread, the dhabbas moved from the roadside, into cities and luxurious hotels, where their remarkable flavours could be enjoyed in opulent surroundings. 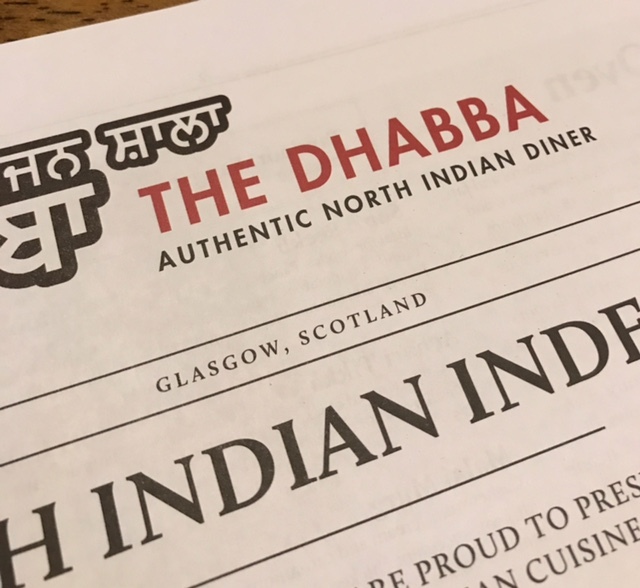 No different in Glasgow’s namesake, where The Dhabba’s team, conjure up magnificent, authentic dishes, with inspiring flavours, from a hugely expansive menu. 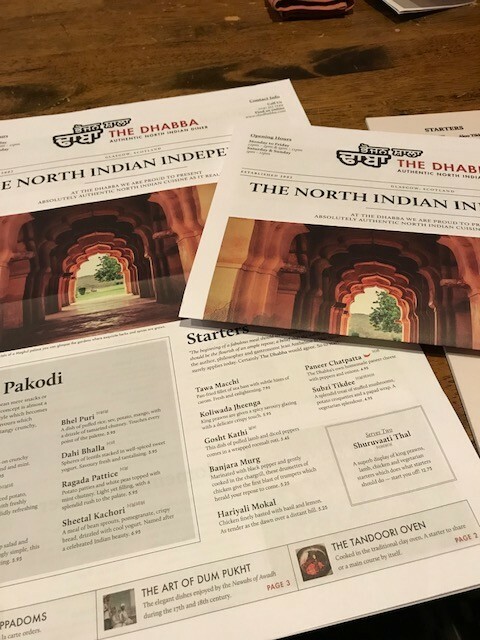 Steering away from the stereotypical, prepare to have your mind blown by the variety of dishes, informative descriptions and exotic tastes as the chefs recreate Northern India in their little corner of the Merchant City. 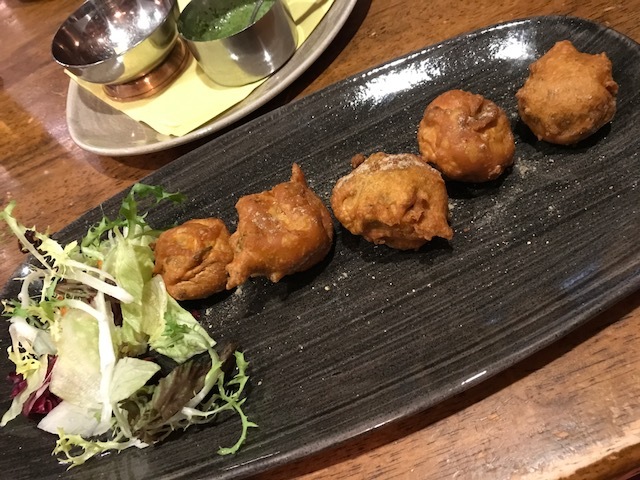 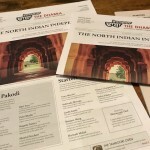 The entire experience is designed to be a learning curve and a great pride in their art is reflected too in the menus, offering historical snippets and explanations of their preservation of history, through cooking. 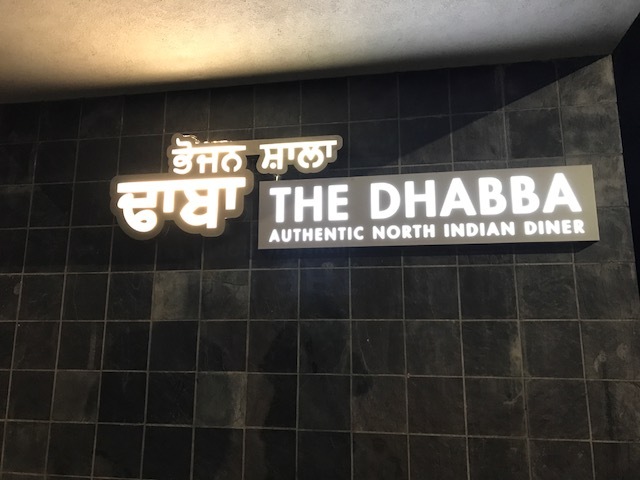 I found The Dhabba team’s orange hued uniform, reflective of their dishes and the warmth, each displayed, towards diners – enthusiastic, passionate, informative and offering a supremely high level of service. 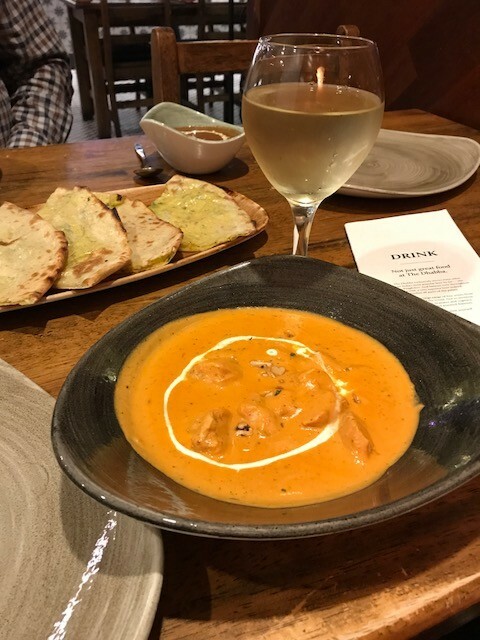 Although I started with an Indian beer, my temptation returned to the wine list where I was genuinely impressed, not only by the choice but selection of wines. 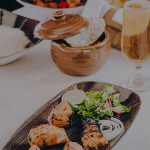 Gin and whisky also feature largely, behind a bar, which forms a centerpiece of the restaurant and adds to the authentic character and charm of The Dhabba. 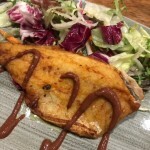 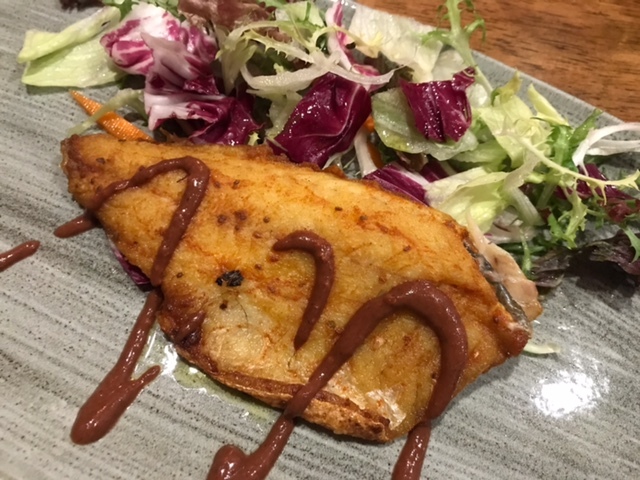 Amazing, unusual and surprising tastes were present in each of our dishes, where the chefs see their work as an art form and the enjoyment of their dishes must certainly provide a great sense of satisfaction and achievement. 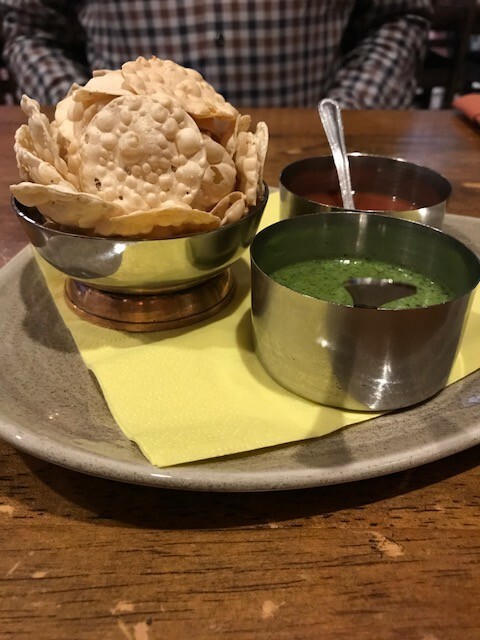 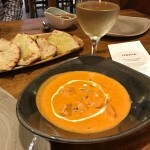 Any preconceptions you may have about Indian food; scrap them and prepare to be educated and amazed at The Dhabba – an authentic lesson in Indian cuisine.